Home / SPORT / US player scores a ridiculous goal from midfield to complete a hat trick in the World Cup final. The United States took a commanding 4-0 lead in the 16th minute of the World Cup final when Carli Lloyd scored an absolute stunner from midfield. Replays showed that the Japan keeper slipped trying to retreat to her goal but still got a hand on the ball. It was not enough. 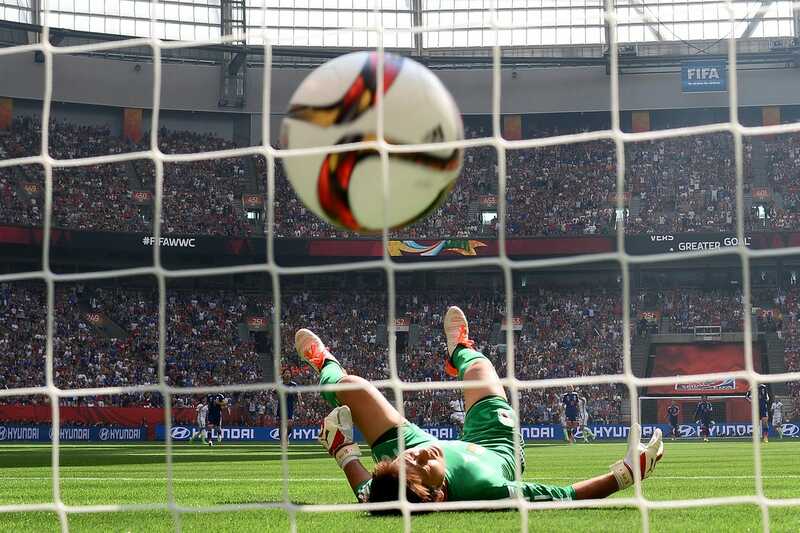 Getty photographer Dennis Grombkowski caught this incredible shot of the stunned Ayumi Kaihori laying on the ground and watching the ball go to the back of the net.